What does a Calcium Score measure? 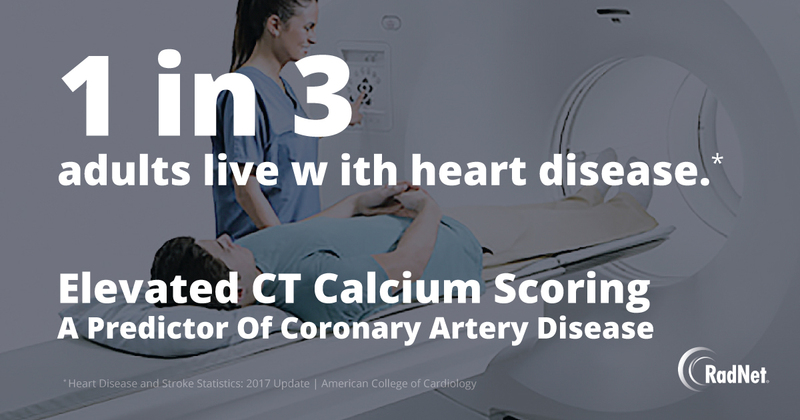 A CT cardiac calcium scoring exam detects and measures the buildup of calcium and plaque inside the arteries of the heart. What does a Calcium Score indicate? Elevated scores may indicate the onset of Coronary Artery Disease. Who should have a CT Calcium Score? Men ages 45-79 and women ages 55-70, or those with any of the following risk factors. The screening exam may not be covered by some health insurance plans. The cost of the exam is $150.00 at the time of service. Cash, checks and all major credit cards are accepted.